In this episode, Talking Practice host Grace La interviews Paul Nakazawa, Associate Professor in Practice of Architecture at the Graduate School of Design, whose career as a consultant includes managing several international design practices in the fields of strategy and business development. Having taught practice classes for over twenty years, Nakazawa shares his belief in the importance of fostering personal relationships and a collaborative attitude during the course of a designer’s education, and the necessity of adapting to a changing cultural enterprise as we consider the future of architecture and design. With cities increasingly adapting to parametric operations as the driver of real estate development, Nakazawa discusses the tension between humanism and the algorithm, and what kinds of techniques design practices must employ to survive—and thrive—in today’s changing landscape. Paul Nakazawa is Associate Professor in Practice of Architecture at the Harvard Graduate School of Design, where he teaches Frameworks of Practice, the longest running professional practice class at the GSD. He currently serves as a Director and Vice Chairman of MASS Design Group, Boston, and as Chairman of Snøhetta, New York. 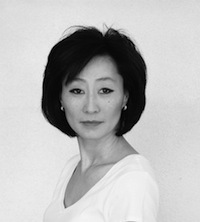 Nakazawa's career spans four decades as an architect and 25 years as a practice strategy consultant to leading firms in architecture, landscape architecture, and urban design. He has lectured and taught at the Southern California Institute of Architecture, Los Angeles; Architectural Association, London; Universidad Iberoamericana, Mexico City; and University of North Carolina at Charlotte. He is a graduate of the University of Chicago (BA, MBA) and Harvard University (MArch). Talking Practice is produced by Ronee Saroff and edited by Maggie Janik. Our Research Assistant is Julia Roberts. Practice Platform Support is provided by Jihyun Ro. The show is recorded at Harvard University's Media Production Center by Multimedia Engineer Jeffrey Valade.